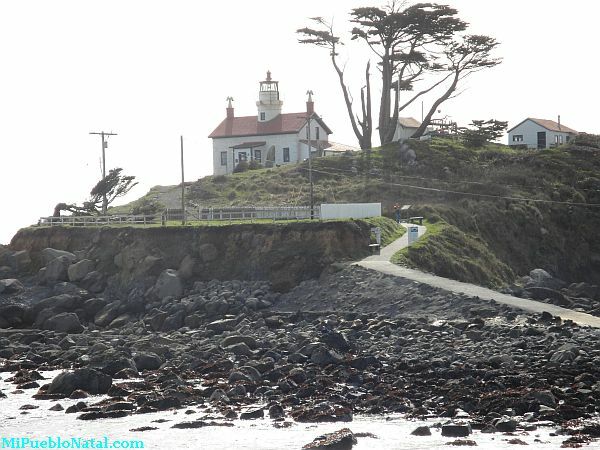 The county of Del Norte is located at the far northwest corner of the State of California on the Pacific adjacent to the Oregon border. The county seat is Crescent City which is the county's only incorporated city. Del Norte is the Spanish nickname for "the land of the north" and means "la tierra del norte" in Spanish. Despite Spanish etymology, the official pronunciation of the name is to drop the trailing "e" and say "Del Nort." Giant Redwood trees on the right side. If you have never seen them, you will be stunned at how huge they are. 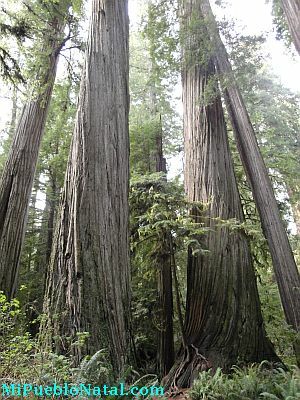 If you would like to see more Redwood pictures just click on the link.